Mafia III: Rivals is a new mobile game for iOS and Android, where you can steal, seize, and slaughter to gain control of the in-game world of New Bordeaux. The game is a companion mobile title for the Mafia III video game, and it’s an underworld-themed take on games such as Clash of Clans (though not a pure MMO title), as your objective is to be the boss of your own syndicate and to assemble a crime family, outfitting each member with weapons, cars, and other items, and staking your claim over New Bordeaux’s businesses. 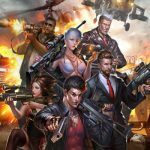 You can recruit and level up skills for about 40 crime bosses, declare war against rival crews, and, as is the case in these games, fight “real players,” meaning human opponents in a game with a clear social element. In the end, your objective is to form a crew that will one day own New Bordeaux and control the city. Want to have the most intimidating, powerful gang in New Bordeaux? It won’t be easy, but we’ve put together a Mafia III: Rivals strategy guide that covers all the things you need to do to ensure your gang acquires more power, retains that power, and eventually becomes one of the most feared, if not the most feared, in the in-game universe. 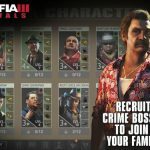 Although Mafia III: Rivals is a game where the social element is the main selling point, there are also single-player missions which you can complete on your own. We suggest grinding it out on those missions, replaying them as often as possible, but not completing them right away. Finishing those missions too fast will only have you painted into the proverbial corner at some point in the near future. The reason you should also pay some attention to the single-player missions is, once again, the age-old concept of grinding or farming; you want to replay them so you can acquire equipment for your crew. Items in this game can be quite difficult to acquire, and even more difficult to make them better. When we say “difficult” for the latter, we’re actually referring to the cost in Starring Up or Leveling Up these items; as you need sacrifice items for the latter, the fact that they’re generally hard to acquire may pose a challenge. What should you do instead? We suggest focusing first on filling up all the possible slots, as you would first want to have bonuses for multiple items, instead of having just one rare item equipped on one character, but nothing else to speak of. Also be sure that you’re equipping your crew members smartly. If you’ve got members that are prone to being attacked, make sure you equip them with health and defense items. It may be because the game is still in its infancy, or it may be another case of simplistic AI, but Mafia III: Rivals’ AI tends to focus on one single character repeatedly, regardless of the battle you’re fighting. Once you’ve filled out all of the available slots, you can then begin leveling them up, which would be less resource-intensive than starring them up. It’ll cost you a lot and it may take a while, but it’s something you’ve got to do if you want to have a dominant crew. When it comes to defeating the game’s AI, you should have little problem compared to human opponents. Again, the computer tends to use basic strategies that are easy to work around. But you can also use similar strategies when facing real-life players, and we’ll be sharing a few that you may want to try out for yourself. Whether you’re up against a live person or the AI, you should do what the computer does and focus on one enemy. Take the enemy crew out one member at a time, and see if you can take care of at least one crew member in the first round, particularly when you’re in a Crew vs. Crew battle. Pick out an enemy where you’ve got the most characters having a damage bonus against them. This should become easy once you’ve fought several battles, as it should become second nature picking out a character who would be easiest to beat in round one. But even if you don’t take that enemy out in the first round, you should still focus on that character in the rounds that follow. 5. How Should You Form Your Team And Use Your Skills? When forming your crew, you should make sure your lineup is as balanced as possible – nothing new as far as these games go. But you should also have certain crew members included; try having at least one healer, as well as somebody who has the Taunt skill. Use the Taunt skill on your healer so that their power bar increases, then have your healer patch up your member with the lowest health stats. Using this skill once in a battle, particularly in a Crew vs. Crew battle where your opponent doesn’t use it, is oftentimes a good way of ensuring yourself of a win. Another useful skill is the Counter skill, which could benefit anyone who is picked on repeatedly. You want to inflict as much damage on the enemy crew as possible, and in order to do this, it’s best to choose the right order and stick to it when deciding which crew members attack first, second, and so on. Oftentimes, it’s not a good idea to have them attack willy-nilly, though you can use random characters to finish off enemies that are running low on health. Still, it’s better to use specific characters at specific times, as that lets the power meter fill up for certain characters who need it. Last, but definitely not the least, you shouldn’t overlook your buildings. Due to the glacial pace of building progress Downtown, it’s easy to neglect them, but don’t fall into that trap. 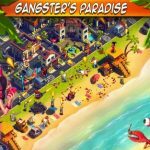 If you’ve got enough resources on you, then buy new levels for those buildings, even if you’ll only get solid percentage increases at the very best. Still, those increases will keep adding up, and the pace will pick up as you keep adding levels to your existing buildings. As a bonus tip, it’s not necessary that you finish the levels for one building before going on to the next; as long as you’ve got resources to spend, you can buy new levels regardless of the building. These would be our general tips and tricks for Mafia III: Rivals. In case you know more tips for the game, let us know below in the comment section!